Adorable Home On Dorinda Drive With Finished Basement, Garage, Fenced Yard, Pool, Updated Baths, Hardwood Floors & More! 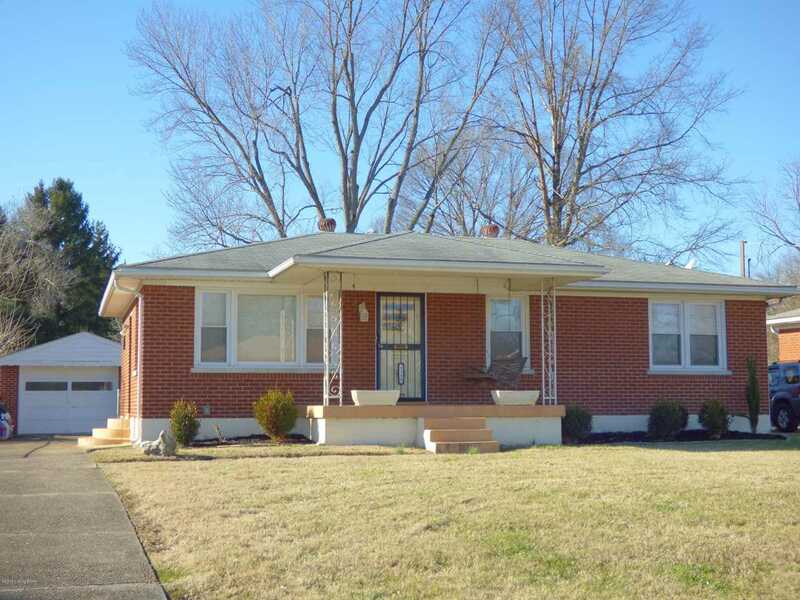 All Brick Exterior With Replacement Windows, Covered Front Porch & Fresh Landscaping. Detached Garage With A Carport - Great Spot To Relax In The Back Yard...Pool With Deck (Deck Is Being Finished) & A Handy Commode In The Garage For Pool Parties! Inside The Living Room, Hallway & 3 Main Floor Bedrooms Have Hardwood Floors. All Good-Sized Bedrooms! Two Modern Bathrooms-One On Each Floor. The Kitchen Appliances Can Remain Too. Downstairs The Basement Offers A Family Room, Bedroom, Workout Room, Bonus Room, Full Bath, Laundry & Storage Area. Big Fenced Yard. Low Traffic Street. This Home Is Move-In Ready. Seller May Help With Closing Costs. Home Warranty Available. SchoolsClick map icons below to view information for schools near 8380 Dorinda Dr Louisville, KY 40258.